Beautiful China Photo Contest 2015 is being organized by China Daily as a part of China-UK Year of Cultural Exchange and is supported by the cultural branch of Chinese Embassy in Britain. 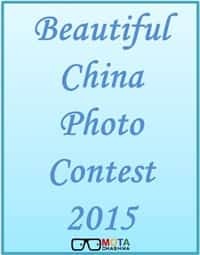 The Beautiful China Photo Contest 2015 is open for worldwide participation and there is no restriction related to the age or proficiency of the participants. In order to participate in the contest, participants must use their smart mobile phones for taking the photographs and show the beauty of China to the world. The winners will be invited to the Award Ceremony & Gala Dinner in London and the Gold winner will get the right to use Geely GC9 Sedan Car for a period of one year, there are other great prizes for winners. The entries can be submitted from August 11, 2015 to September 12, 2015 and the winner will be announced in November 2015. Nationality: Beautiful China Photo Contest is open for global participation. Age: Thecontest is open for participants of all ages. Proficiency: The Photo contest is open for Professional as well as amateur photographers. Equipment: Thephotographs should be taken using a mobile phone only. Use of any other device for the same purpose is not allowed. The winner will be given a Geely GC9 car for a period of one year. An all-expense paid trip to London to attend Awards Ceremony & Gala Dinner held in London, including ticket to Award Ceremony & Gala Dinner. For Human Interests, Landscape, Architecture, Food and Family categories: A commemorative silver medal along with certificate and ticket to Awards Ceremony & Gala Dinner. For On the Road category: A 7 day tour package to UK including flight & accommodation and tickets to attend Awards Ceremony & Gala Dinner and a Certificate of Award. A specially made hat decorated by velvet flower. An exquisite gold foil frosted tea caddy. A painting of traditional headwear decorated by velvet flowers. Editing: Modifications are allowed if done using mobile phones’ photo editing tools. Registration and submission of the entries can be done using WeChat official account. Round 1: The selection in round 1 will be done by special review panel formed by the organizing committee. The committee will select 40 finalists from each category. Round 2: The decision in the second round will be taken by review meeting. Result: The winners will be announced in Award ceremony, organized in London in the month of November 2015.